Don’t throw out your front derailleur just yet, here’s a whole list of things you can still use them for! 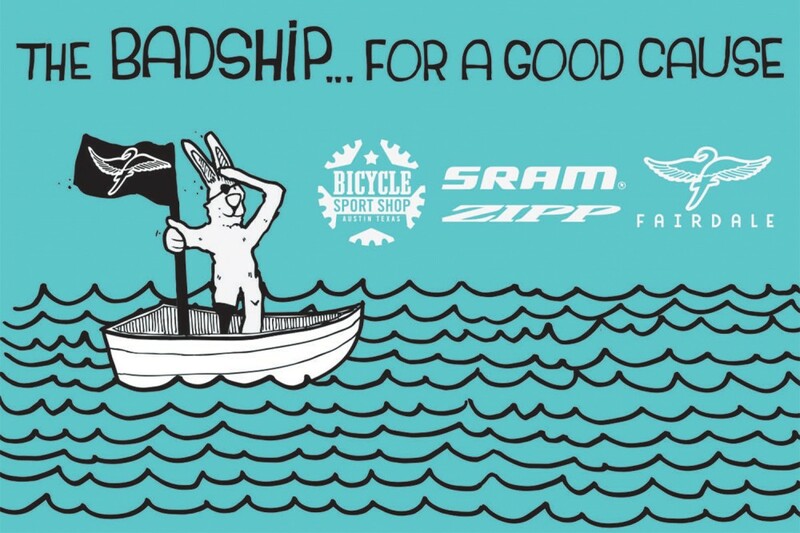 From our Flyer to our 2017 Goodship, we put together a video for each bike to help you decide which one is right for you. Click play to watch them all! 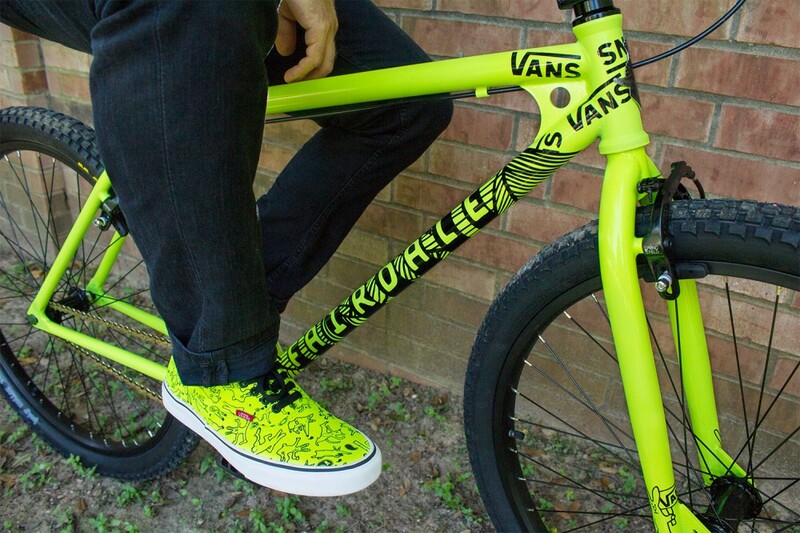 We’re honored to work with our friends at Vans on these custom Fairdale Authentics. We’re so psyched, we even built up a matching Fairdale Taj just for them. These shoes will go out to key Fairdale shops, friends, and family as a thank you for their support. 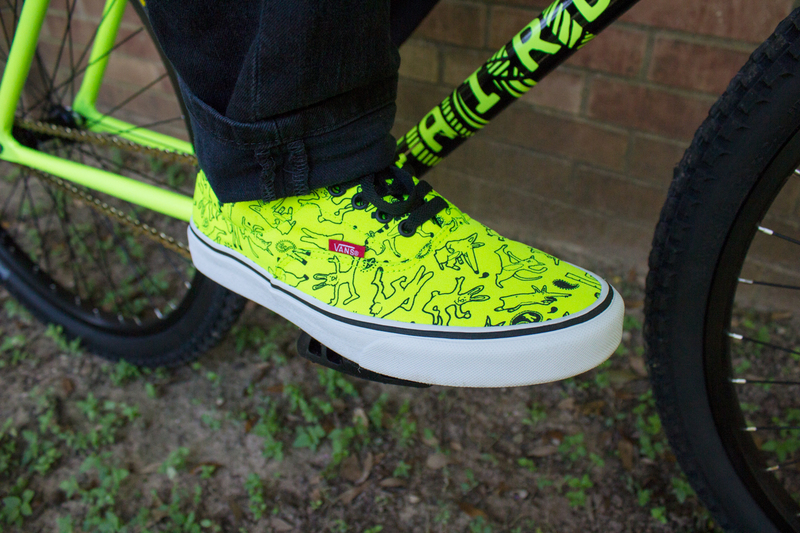 On top of that, we’re also giving a bunch of shoes away to lucky Instagram followers. Amid our 2017 line-up is a special limited edition run of our Weekender Archer. We teamed up with our friends over at Biltwell to bring you guys just 100 of these classically styled two-wheeled vessels. Watch the video above or click here to learn more about how the bike came to life, and then here for full specs. We took Taj Mihelich, Leif Valin, Sandy Carson, and Chris Cotsonas to the French Alps and celebrated Chris’ birthday in one of the best ways imaginable. The bicycle industry has deemed shifting the front chainrings on your bicycle to be unnecessary. The front derailleur has been declared dead. The Fairdale R&D team has the vision to see that the front derailleur still has plenty of life left in it. The incredibly dynamic mechanical range of the front derailleur has many potential uses. 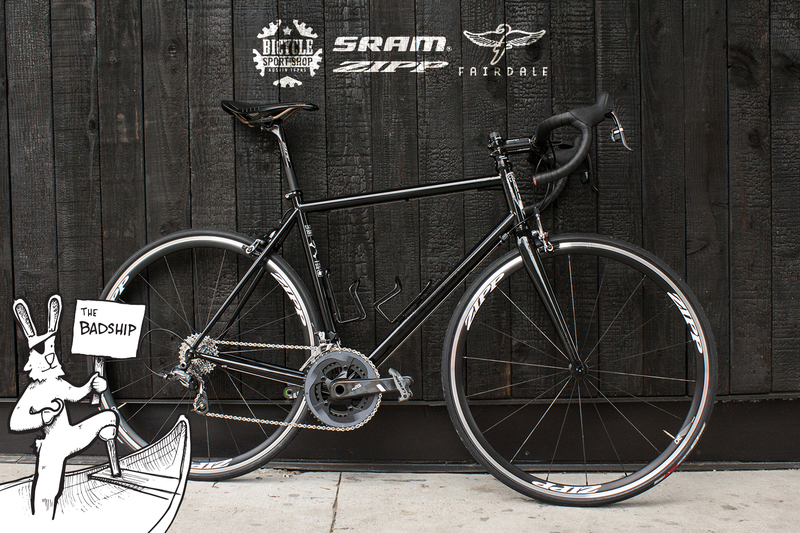 The newly formed Fairdale Bikes Front Derailleur Repurposing Division (FBFDRD) is focused on honoring the front derailleur by finding new and practical uses for this beloved bicycle mechanism. Here’s a sampling of our latest projects. Jared is a professional BMX rider for Odyssey BMX and Fit Bike Co. Though he has the natural talent to kill it on just about any size bike, his first love happens to be fishing! We spent some time with him on his trusty Weekender, and hit up one of his regular fishing spots. Sandy Carson was our first team rider back in January of 2012. 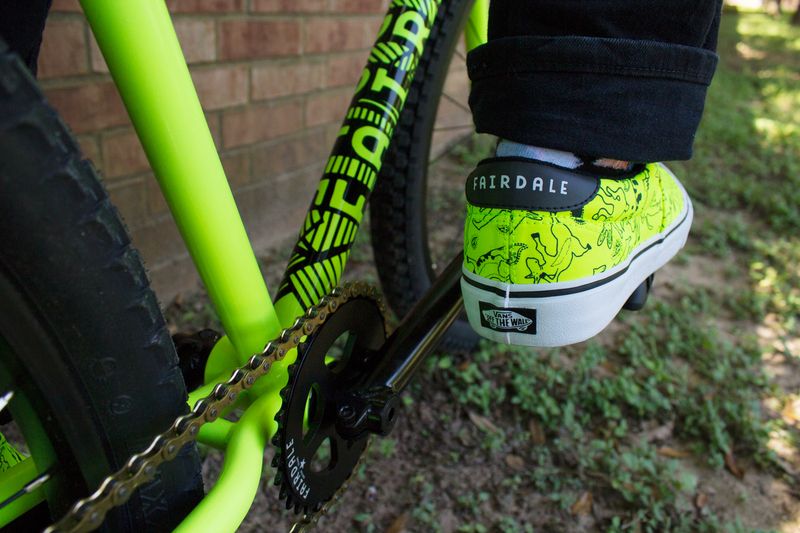 “Team Rider” is a term we use very loosely at Fairdale. We don’t expect our riders to win races (though Sandy did just win a Texas State Championship on a mountain bike). Hell, we don’t expect our riders to even ride all the time. Mostly our team is made up of friends who are doing cool things. Folks we admire. People who in some way have bicycles as part of their lives. Sandy couldn’t sum that up more. As a full time photographer he is always doing something exciting… some shoot or another, working on his own photo books and shows, or traveling around to odd places. More than any of that what really makes us admire his work is the way his photographs portray the world. He takes some of the most interesting photos we know of by catching little details that the rest of us skim over. Those little things that when expertly highlighted can reveal special moments all around us. On top of all that he is an amazing bike rider. A cyclist who is perpetually motivated to ride all kinds of bikes. 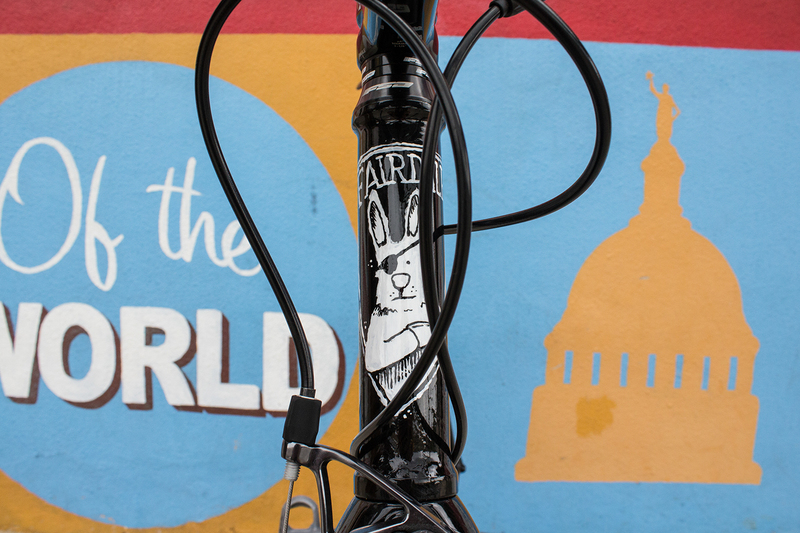 Riding with an infectious sense of humor and inspiring enthusiasm. His great history as a sponsored BMX rider means he can naturally shred on any bike. Applying that mastery to bikes with other sized wheels has lead him into an even bigger love for cycling. We spent some time down in Austin filming the man and would like to present to you this video. Check out our friend Sandy. Visit SandyCarson.com to see more of his work. Music courtesy of Water of Life. Make sure to also check out their new project, Concrete Antenna. Follow them on Instagram via @SurfacePressure. 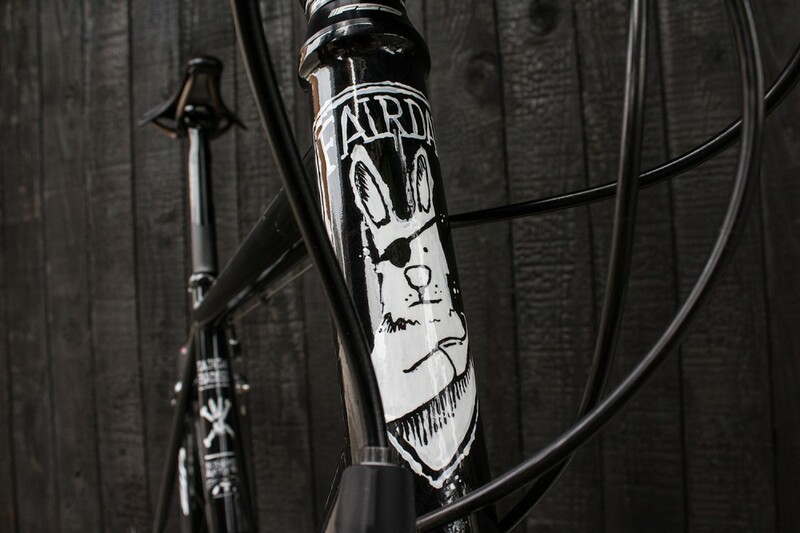 We gave you guys a sneak peek of the Badship last week, and now we have a video showing you guys some of the hand-painting process and custom build that went into this one of a kind Fairdale Goodship. 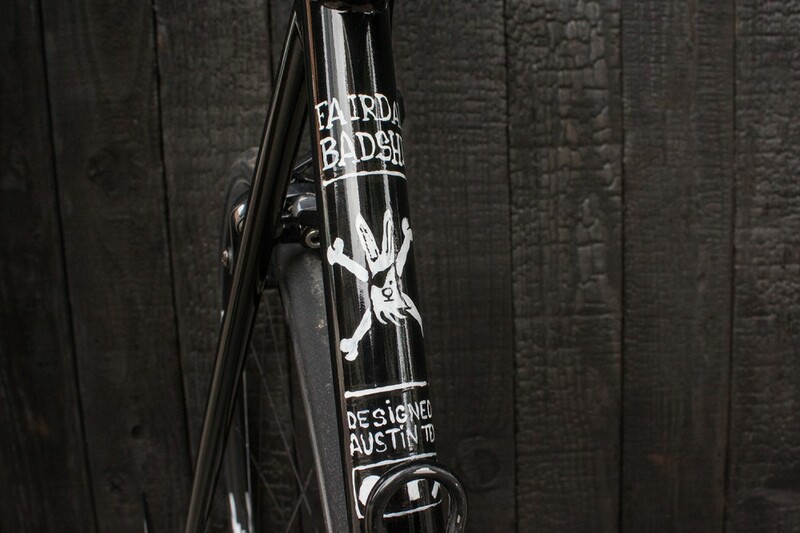 The Badship could easily retail $4,500 and it will be auctioned off the evening of August 1st at the ABGB as part of the Bicycle Sport Shop’s and TexasBikeRacing.com’s El Diablo’s Poker Dash & Bash. Auction Proceeds will benefit the Texas High School Mountain Bike League. 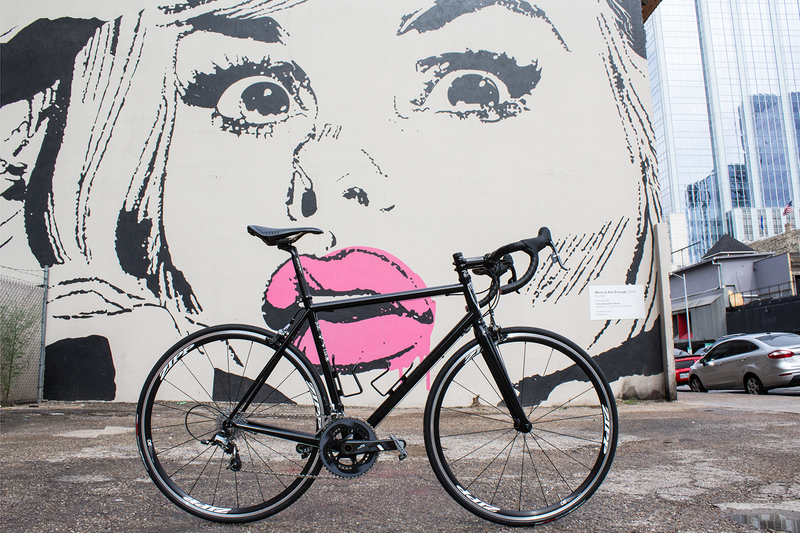 To get an idea of what it’s like sailing around on this thing, click here, or if you want to scope her out in person, swing by the Bicycle Sports Shop on 517 S. Lamar Blvd. in Austin! Inside the Fairdale Tribe Erik Conn holds a seat of wisdom. Even before I knew him personally I could tell by watching him play drums that he was doing a hell of a lot more than mechanically keeping the beat. Watching him play was almost spiritual… or maybe you could say it was in that special zone where there was no thinking… it was all feeling. It’s kind of a rarity to find folks who are so obviously doing what they are supposed to be doing. Who are so committed to following their heart. I think we all sense those signs tugging at our lives, but it’s not always easy to find the courage to go the direction they lead. 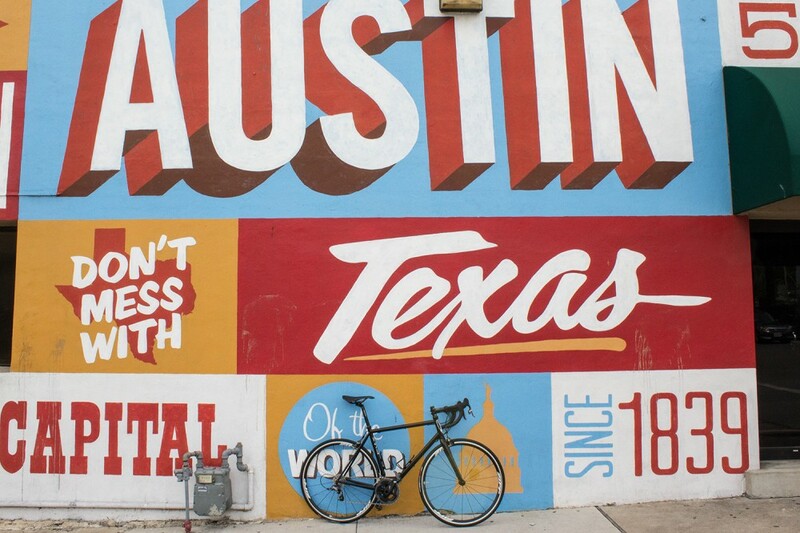 We sent our film-man extraordinaire Francis Delapena down to Austin to try and capture some of the inspiration that Erik is.